Birds Eye has announced the purchase of iconic frozen food brand Aunt Bessie’s for around £210m. This acquisition is another significant step in Birds Eye’s journey to transform both the frozen food category and its business in the UK & Ireland. Along with the previously acquired Goodfella’s and San Marco pizza brands, Aunt Bessie’s gives Birds Eye the opportunity to expand its portfolio into another significant meal occasion, the Roast Dinner, which is already the fifth-largest meal occasion in the UK, eaten a staggering 1.3 billion times each year. 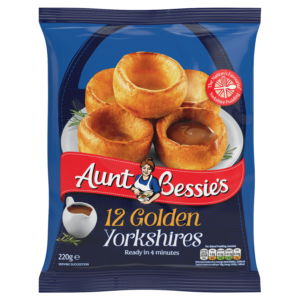 Aunt Bessie’s is the number one brand in the UK for frozen Yorkshire Puddings and roast potatoes. Created in 1995, Aunt Bessie’s has grown to become a market-leading frozen food brand in the UK, with retail sales of over £140m and a portfolio boasting everything from roast dinner staples to convenient midweek meals that take minutes to cook. In addition to essential roast dinner accompaniments, the Aunt Bessie’s range also includes traditional favourites including savoury and sweet pies, toad in the hole and desserts. Now with both Aunt Bessie’s and Goodfella’s Pizza under its umbrella, Birds Eye intends to continue to drive growth in the frozen food category by offering categories and occasions which complement its existing portfolio. 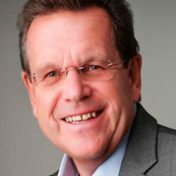 Wayne Hudson, Birds Eye UK managing director: “Aunt Bessie’s is a historic family brand, loved by shoppers and built on strong values and quality product credentials that align perfectly with Birds Eye’s ethos. We have long admired what the team at William Jackson Food Group have achieved with Aunt Bessie’s. 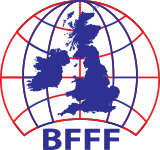 Combined with Birds Eye and the recently acquired pizza brands (Goodfella’s and San Marco) we are excited about the opportunity of driving further growth in the frozen food category by offering high quality products the nation loves and trusts through more meal occasions. Based in Hull, Aunt Bessie’s is currently owned by the William Jackson Food Group. The acquisition is expected to complete in Q3 2018.